Arriving to the conference early? Don’t know what to do with your extra time? Why not check out Boston and all that it has to offer. MBA CSEA is excited to recommend a few pre-conference excursions that are a “must see” while in town. These pre-conference excursions are for those of you who want to gather a group of fellow conference attendees and explore the city on your own prior to the Opening Reception. Tourists flock to Faneuil Hall Marketplace to eat, shop, and play. Grab a bite from one of the food vendors inside historic Quincy Market then step into the sunshine to delight in the nearest street performance. Address: 4 South Market Building Boston, MA 02109 (1.2 miles from the hotel. A 22 minute walk, 10 minute taxi/ride share and also accessible by “T”) Admission: Free! If sea life is your thing, then the New England Aquarium is a “must see.” Boston’s aquarium houses one of the largest ocean-reef tanks in the world and more than 30,000 animals, including penguins, sharks, and other exotic sea creatures. Don’t want to commit to a full tour? Visit the seals in their glass tank just outside the front door. Admission: Varies. $12 online tickets for guided walking tour. “Uncommon Connections” at the Opening Reception! Life is richer when you mix things up a bit. Start your conference with a bang by experiencing unexpected food and music fusions at the Opening Reception! Wishing you had more time to connect with fellow conference goers? MBA CSEA is pleased to introduce our first Social Hour for a little fun and games! Join us for trivia and other team-based fun. Teams will be created as attendees come and go – whether you join for 10 minutes or the whole hour, we’re sure that you’ll leave the social hour building a new connection or two! 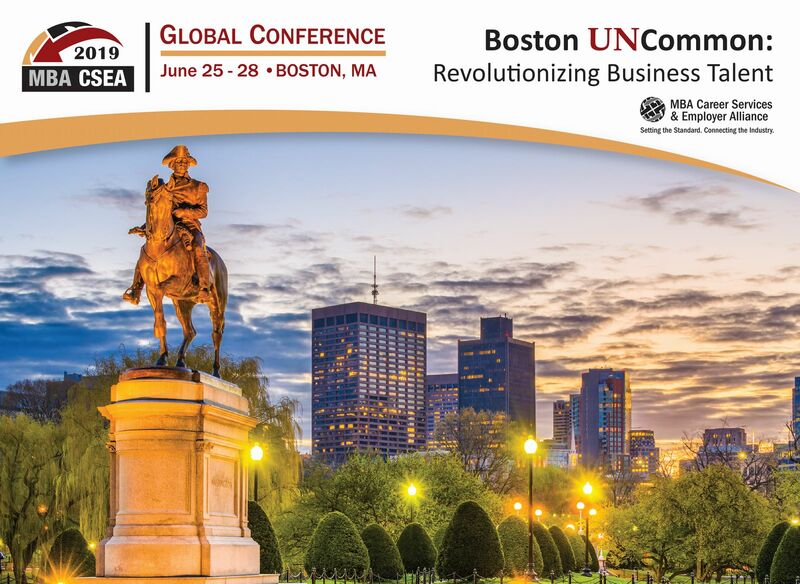 Please join your MBA CSEA conference attendees for a night out in Boston and an opportunity to take in some of the delicious cuisines that this city is famous for. From seafood right off the boat to gourmet burgers and comfort food from the restaurant that inspired one of our favorite TV shows, this year’s recommended hot spots offer a true taste of Boston. Reservations have been made at the following restaurants, and are all within a few blocks walking/driving distance from the Boston Park Plaza Hotel. Sign up for the restaurant of your choice at the Conference Registration Desk. Meet in the lobby at the designated time on Wednesday. Reservations are scheduled to begin at 7:30 pm. Dinner payment is the responsibility of each individual. Take a more active approach to your Dine-Around and sign up for Topgolf! Topgolf incorporates three full-service simulators into a luxurious 2,000 square foot golf lounge for training and entertainment. Managed by a seasoned staff of PGA-certified professionals and powered by state of the art simulators, Topgolf Swing Suite provides an immersive golf experience to transform your game. Each suite includes comfortable lounge seating and food and beverage service is available. From the Boston Common to the North End to the “Cheers” bar and television show, Boston has no shortage of iconic locations! Join MBA CSEA in celebrating its 25th Anniversary with a “taste of Boston”, complete with entertainment, delicious food and drinks (partial cash bar). Get ready to sing and dance the night away with great entertainment and friends! Known as “America’s Most Beloved Ballpark” and a Boston landmark, Fenway Park has been home to the 2018 World Series Champions, the Boston Red Sox, since 1912. Casual attire permitted. From self-guided tours to 18th-century costumed guides, there are many ways to experience the Freedom Trail: a 2.5-mile, red-lined route leading to 16 historic museums, churches, meeting houses and more that tell the story of the American Revolution and beyond. One of the most comprehensive art museums in the world, the MFA’s collection includes nearly 500,000 works of art from ancient Egyptian to contemporary. Make sure to visit the new Art of the Americas Wing. Boston is home to the first public botanical garden in America. After you picnic under the willowy trees and take a ride on the iconic Swan Boats, you can even stroll next door to the oldest public park in America, Boston Common! No visit to Boston is complete without a trip to Boston’s North End for classic Italian fare and a cannoli from Mike’s Pastry. Take a foodie walking tour or simply stroll down Hanover Street. Then visit nearby Rose Kennedy Greenway to walk off all that pasta and gelato. Literary lovers rejoice – the BPL, located in the heart of Copley Square, is a book lover’s dream. After your visit, explore the rest of Boylston Street: from Trinity Church and the Boston Marathon finish line to stunning views with a cocktail at the Top of the Hub. Tourists flock to Faneuil Hall Marketplace to eat, shop, and play. Grab a bite from one of the food vendors inside historic Quincy Market then step into the sunshine to delight in the nearest street performance. For a more authentic experience, stop by Boston Public Market just down the street. From trendy restaurants to rooftop bars, the Seaport has become a sophisticated destination for eating and drinking on the water. While there, explore the Institute of Contemporary Art (ICA), see an outdoor concert at Blue Hills Pavilion, or visit one of Boston’s popular breweries. The options are endless to see the Boston skyline by water – visit the Boston Harbor Islands, take a sunset cruise, kayak on the Charles River and more! If shopping is your thing, take a stroll down upscale Newbery Street. From Burberry and Banana Republic to high-end boutiques and galleries, this street has it all—set in picturesque setting lined with outdoor cafes and brownstones. Boston’s aquarium houses one of the largest ocean-reef tanks in the world and more than 30,000 animals, including penguins, sharks, and other exotic sea creatures. Don’t want to commit to a full tour? Visit the seals in their glass tank just outside the front door. These are just a few of the many great places to visit in Boston. For more fun ideas, click here or visit Fodor’s Boston. Boston is a very walkable city. If you plan to explore, bring comfortable shoes – your feet will thank you! Some favorite neighborhoods to explore by foot are Beacon Hill, the North End, Back Bay, and the South End. Even in June, New England can be chilly at night. Check a trusted weather source before you come and pack a light jacket even if the forecast calls for summer temps. Boston has no shortage of world-class dining options at all price points. Given the popularity of the food scene, reservations are highly recommended (especially Thursday – Saturday nights!). As one of the oldest cities in the United States, Boston has a lot of narrow, one-way streets. While charming to walk down, they’re not always charming to drive down…or find parking on for that matter! Parking garages in the city are generally expensive so, if you’re driving to the conference, it’s a good idea to look at directions and research costs ahead of time. The good news? There are plenty of easy ways to get around once you’re here (walk, bike, subway, cab, Uber, Lyft, etc.). Be prepared for city traffic, especially during rush hour. Explore and enjoy – Boston is a dynamic city full of food, art, culture, sports, local pride and colorful personalities! Experience it for yourself and have a great time.